When visiting Dubrovnik you need something that will remind you of this beautiful city. 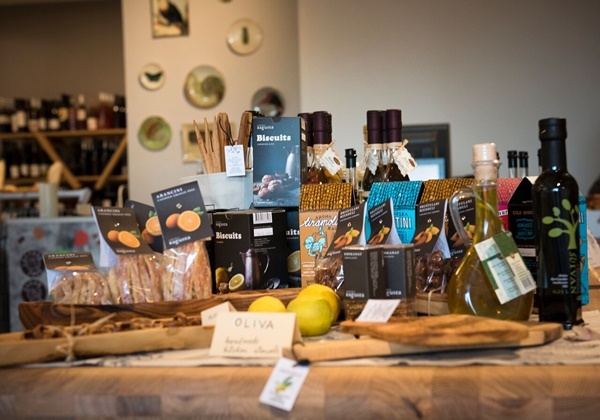 You can choose from sweet and savoury delicacies, paintings from one of many galleries in the town, natural cosmetics made of local herbs, olive oil from nearby islands or wines from Peljesac or Konavle. Find below our suggestions for your souvenir from Dubrovnik. This cookbook is a written by famous Croatian food blogger Ana-Marija Bujic who has two interesting blogs: the Croatian one - Da mi je nesto slatko and the one for international readers Notes from a Dubrovnik kitchen. The cookbook is very interesting piece where author combines 120 recipes with interesting stories about food and life of Dubrovnik. Going through this book you will enjoy in great photos and recipes of Dubrovnik region. Here you will find tasty fish, seafood, vegetables and meat dishes as well as numerous desserts. The cookbook can be purchased from several bookstores in Croatia but if you your copy to be shipped to your home you can order it here. Ana-Marija is also co-owner of Dubrovnik Pantarul restaurant which is very popular among both tourists and locals. This restaurant is situated in Lapad and offers dishes based on fresh local ingredients. Be sure to visit Pantarul to enjoy in delicious Croatian food and drinks. If you would like to bring home something truly unique from Dubrovnik you should get a souvenir from Croatian City Stories collection. Creators of this project made interesting souvenirs which reflects Dubrovnik history and culture. 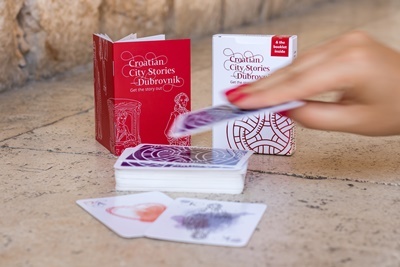 You will for sure have a fun while playing the cards with original motifs from Dubrovnik. You can also buy beautiful tote bags, bookmarks as well as magnets all decorated with Dubrovnik motifs of Peruzina (traditional gold jewellery) and Dominican monastery rosettes. These interesting pieces can be bought from 'Life according to KAWA souvenir shop' (near Ploce Gate), House of Marin Drzic Museum (Siroka ulica 7) as well as Dubrovnik airport duty free shop.